Nominations for Restaurants and Restaurant Groups are open from January until May 2018. 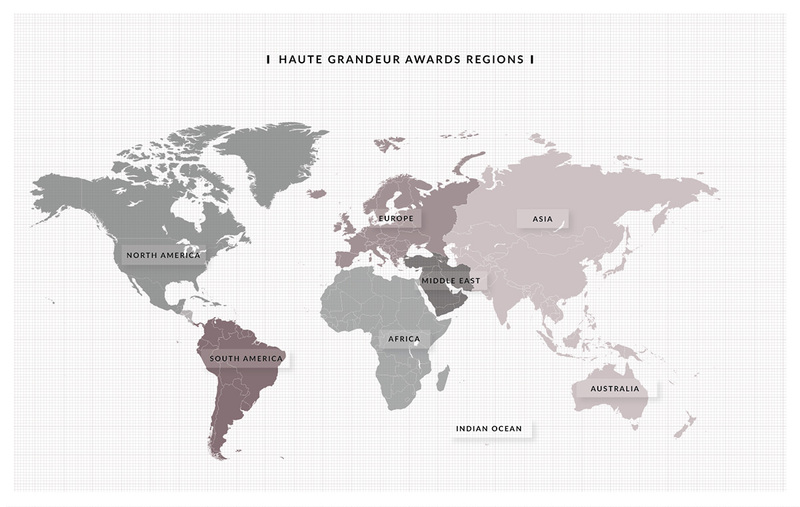 Nominees are internally evaluated by Haute Grandeur & if successful they will be contacted by an Awards Consultant and invited to consider the opportunity to accept the shortlisted result & move to the final stage of the Awards. A restaurant have a period of 30 days in which the invitation to participate will stay valid. Nominees have to register officially to proceed with participation. Upon registration a Restaurant may choose to participate in one or multiple categories at a charge of Euro350 that cover all marketing exposure over 12months. All participating Restaurants are considered for a country, continental and global Award depending on the category selected. A list of all restaurants that have accepted to participate officially in the Awards will be published by the Global Restaurant Awards when the annual 2018 rating poll opens. World regions for consideration are as follows.